Drinking water is water quality, qualified health and can be drunk immediately. Clean water is the water that is used day-to-day quality, qualified health and can be taken when it is cooked. Domestic consumption such as bathing, washing, eating, drinking, rinsing the mouth, etc.. 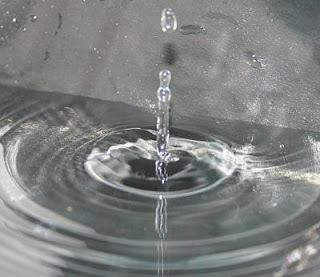 Surface water is one source that can be used for raw water. Most of the rain that reaches the earth surface will absorb into the soil and groundwater will be. Before reaching the ground water layer where rain water would penetrate several layers of soil while changing its nature. Physical requirements for safe drinking water is clear (colorless), no taste, temperature under air outside it so that in everyday life, how to recognize water that meets the physical requirements is not difficult. Water for drinking purposes should be free of any bacteria. Especially bacterial pathogens. How to know if drinking water contaminated by pathogenic bacteria is by examining a sample (eg water). Safe drinking water should contain specific substances within a certain amount anyway. Deficiency or excess of any chemicals in the water that causes fisioogis disorders in humans. This thing needs to be removed first in order not to further disrupt water purification process. To use the filter process trellis. Trellis filter is composed of iron rods as trellis window. Water flowed through the iron trellis. In this filter object stuck in the trellis transported and disposed of in an iron rake like claws. The water is still murky mud flowed into the deposition bath. In the siltation basin water flows slowly. The goal then the tub is wide and deep enough so that the mud settles and the water had become somewhat clear. When the water is suspected to contain bacteria too much then frequent disinfection at this stage is known as the initial chlorination. The water then filtered using a rapid sand filter. In this filter objects floating detained mechanically by sand pores. Filtered water will flow by itself down through the pores between the sand grains due to the force of gravity. The application of water with chlorine disinfection of water is a great way in order that the water is free of pathogenic germs. By chlorination is not intended to obtain sterile water in water. Once filtered water is stored in a large reservoir, to prevent any pathogens surviving in the water then the water will be disinfected before being distributed to residents. The water was crystal clear and safe will be streamed through the pipes to the houses. In this distribution to note the time of day in which water use peaked and declined, hot or cold weather will affect fluctuations in water consumption.